Culinary darling Ripponlea Food and Wine pleases with an ethos of using seasonal produce which celebrates the season’s best. The restaurant has recently undergone a facelift and has just reopened with a glamorous cocktail bar extension (designed by Black Milk) together with a spanking new menu and commendable wine list - perfect for indulging in the new intimate cocktail style bar. 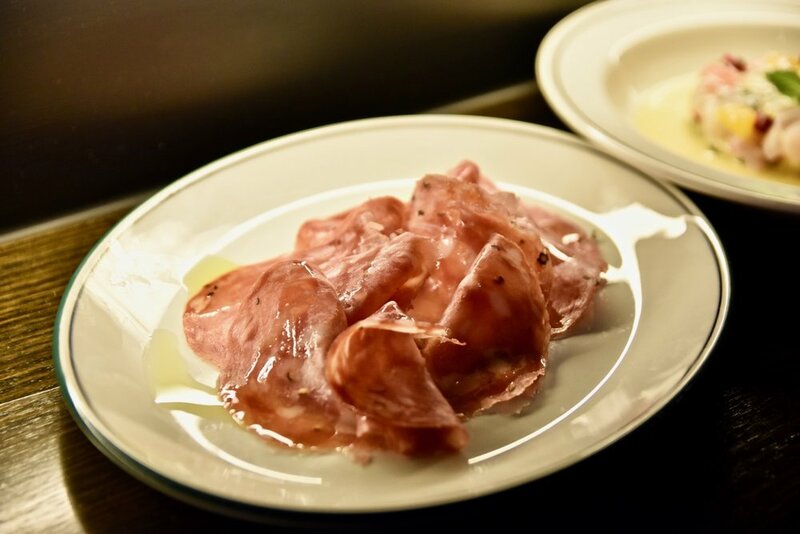 From the charcuterie selection, we enjoyed the sopressa – It was excellent, possessing a rich porkiness that had been further enhanced by the flavours of the intense curing salt mix and aromatic rosemary oil. Similarly enjoyable was Ripponlea Food and Wine’s market fish ceviche. 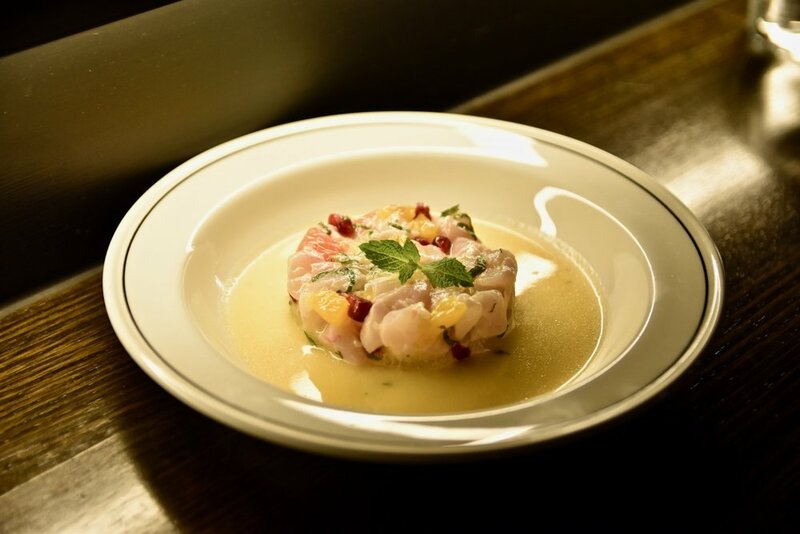 The ceviche items were beautifully presented and were a wonderful mélange of heat and acidity. Delicate cubes of fish were embellished with local citrus and mint with arils of pomegranate adding the final touch to an enlivening combination of ingredients. 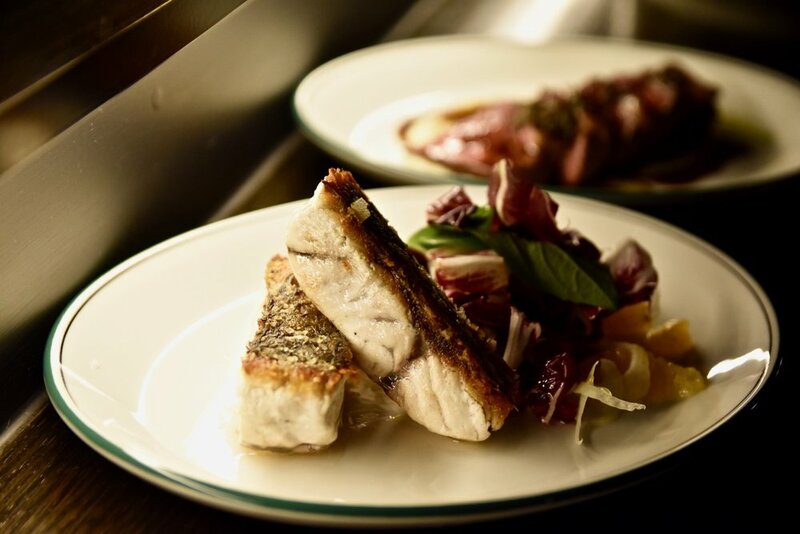 For mains, do not go past the crispy skin barramundi fillet served with radicchio, basil, orange, pomegranate and fennel salad. This was a dish which allowed the subtle sweetness of the exceedingly fresh barramundi to shine. For something heartier (and our favourite dish of the night), the ‘Bistecca con salsa delle erbe’ is something from a dream. Strictly for meat lovers, this rosemary and oregano rubbed 200g Wagyu Rump Cap (8+) with celeriac puree and red wine jus is perfection. A light searing ensured that it was lined with a thin crisp layer packed with caramelised beef flavour. The meat was intense with characteristic wagyu notes and a deep earthy richness and texturally it was sublime with a decadent melt in the mouth, almost buttery, consistency. 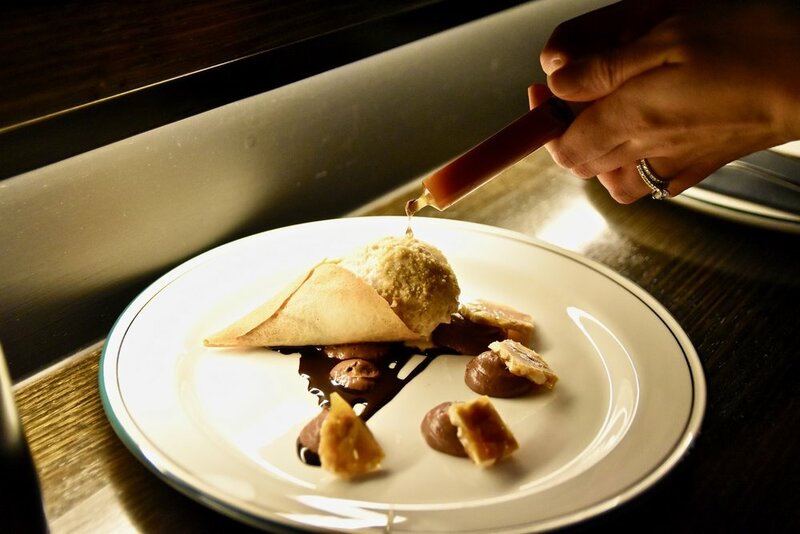 Desserts continue the trend of the savoury courses that preceded – absolutely stunning. The Baci bomb was a particular hit - Think dark chocolate sphere, baci biscuits, hazelnut semifreddo finished with decadent orange spiked chocolate sauce. YUM! With an emphasis on tried and true flavour combinations with a modern twist, Ripponlea Food and Wine's cuisine celebrates what true casual dining is all about – simple and fresh ingredients done well.